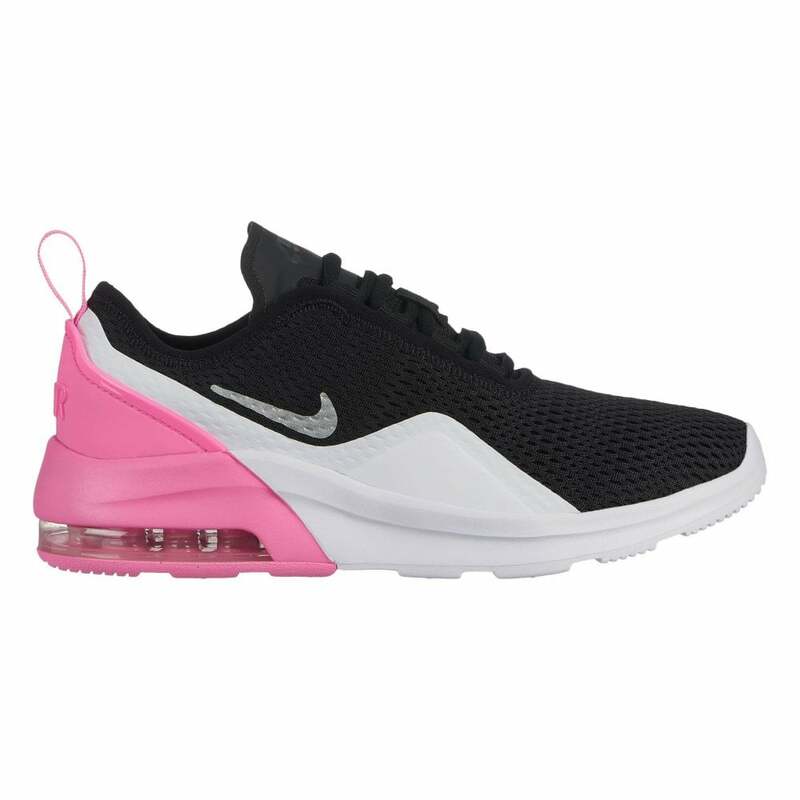 These lace-up Nike Air Max Motion 2 Trainers have a breathable textile mesh upper with synthetic overlay and are black in colour with white and pink detail. They have a textile, padded lining, also in black and synthetic heel support. Nike branding appears on the sides in white and silver as well as on the tongue, heel and sole. The white & pink sole is thick rubber with built-in Air Max technology and visible shock absorption to cushion each foot strike with a deep rubber tread for excellent grip.